Even though I’ve slacked a little with my IMDB TOP 250 challenge, I’ve certainly continued to watch films that range from the brand new releases to some old favorites. Drive (2011): this is one of the most interesting movies I have seen in a while. So many different aspects that are worth analyzing. French director Nicolas Refn moves to Hollywood and delivers, together with Ryan Gosling, a thrilling visual experience with a lot of heart. It is also a tribute to cinema, often feeling like an art-house experiment that evokes the pace and the feel of the great “Taxi Driver”. In many ways, it is a modern revision of the Scorsese film featuring a incredibly handsome hero that is not much of a hero, but one who we cannot resist nonetheless. Its pace might be frustrating and the story might not be the most creative we have seen this year, but it is certainly a thrilling experience unlike most. The Verdict (1982): this is the story of an unremarkable-divorced-old-lawyer scrapping for work in New York City. A man that drinks and stumbles around town aimlessly who one day happens to come across a case that has the potential to change his life. The film is, above all, the stage to a very powerful performance by the unforgettable Paul Newman who, for the first time in his career, looked tired and vulnerable. The film starts out slow, presenting a man on the verge of total collapse, with an eroded moral sense and a lack of self-respect. As Paul Newman starts to regain control, although never completely, we start to understand the fragility of this man and how much he needs this case to salvage whatever is left of his broken spirit. The film is touching at times mostly due to a finely tuned script that was made to fit a virtuoso performance by one of the ultimate greats under the watchful eye of a director’s director: Sidney Lumet. Senna (2011): little could have gone wrong with this documentary if enough care was given in telling the amazing story of Ayrton Senna Da Silva. The late Brazilian F1 driver was as fascinating in film as he was in life. He was handsome, outgoing, friendly and extremely talented. He was a risk-taker, an emotional and passionate person who loved life to the point of risking it often. The documentary focuses on his career, often zooming into his expressive eyes, talking about his incredible talent and love for the sport. The film is effective in that it makes us fall in love with Senna as a person even when we know little besides his F1 carreer. For fans of the sport (myself included), it was an opportunity to relive a tragic moment that most of us would rather forget. 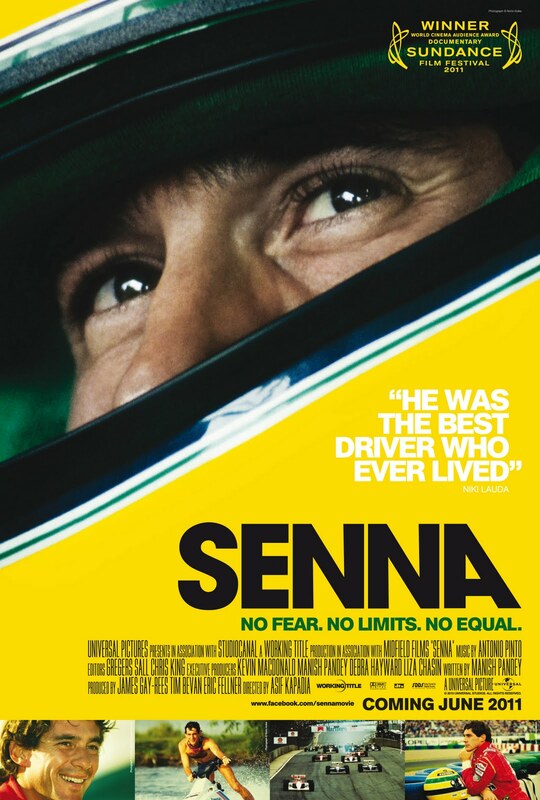 Senna is a tragic love story about a man that was capable of rallying an entire country and an entire sport around him. Conan: The Barbarian (2011 remake): It is time for Hollywood to understand that there are certain films that do not need a remake. Conan was made famous a few decades back because of a young and muscular rising star born in Austria who would eventually become so universal he can be referred to as simply “Arnold”. Now the year is 2011 and yet another buff attractive actor comes to the fore and accepts a role that catapulted another similar story to fame. One must understand that its predecessor did not make Arnold more famous due to its quality. Far from it. In fact, it probably had more to do with the distasteful and continuous violence that combined with half-dressed women and men, some of whom were amazingly gorgeous, catapulted that film to fame. The remake played around with the story and took itself a bit too seriously. It was overwrought, cliche, tacky and excessively lengthy. The action sequences were entertaining at first, but the systematic staging of the battles fueled by the purest of desire for revenge quickly got tiresome. I was inclined to walk out after seeing the manner in which Conan was born, but the film picked up just enough to make me want to finish watching. Rise of the Planet of the Apes (2011 remake): Unlike the previous film, no one could have convinced me a couple of years ago to have given an endorsement for the making of another remake of the famous Planet of the Apes saga. It is not the most interesting of stories out there, failing to generate anything remarkable the last time it was remade with Mark Whalberg in the lead. However, the franchise revitalized itself with a strong cast, a smart director and, above all, a very respectable script. One of the film’s most successful aspects is that it chooses to focus on the touching yet thrilling story of Cesar, the lead ape, whose fluid humanoid behavior proved to be excitingly unpredictable. The film as a whole possesses a good pace, rarely stopping to let the viewer catch a breath. For its thrills, the depth of the script and the sleekness of the story, the 2011 remake of the classic might just end up being the best remake of the year. Great movies on here ! With the one exception of course. Still haven’t seen the new Apes though! Should, because everyone surprisingly loved it. Drive was a 10/10 for me, so was Senna. Drive was pretty great. The whole business of trying to grade a film is hard and open to discussion. We can only wish more movies were made that strive to be as good or better than the Refn and Goslin film. Thanks for your comment. Definitely go watch the new Apes, it’s surprinsingly worthwhile. The Verdict is an excellent film but then again I’m a huge fan of Sidney Lumet. I do think The Verdict actually gets better with age. Nice to see some love for Rise of The Planet of The Apes – I thoroughly enjoyed it even though I wasn’t sure I would after seeing the trailers. Have you seen any of the other films I mentioned. I would certainly recommend “Drive” out of all of them. The Verdict is indeed excellent and I feel it could not have been if it wasn’t performed by Paul Newman. That’s when you know a performance is truly great, when you can’t separate the actor from the film and the character played. Thanks for stopping by my blog too Dan !